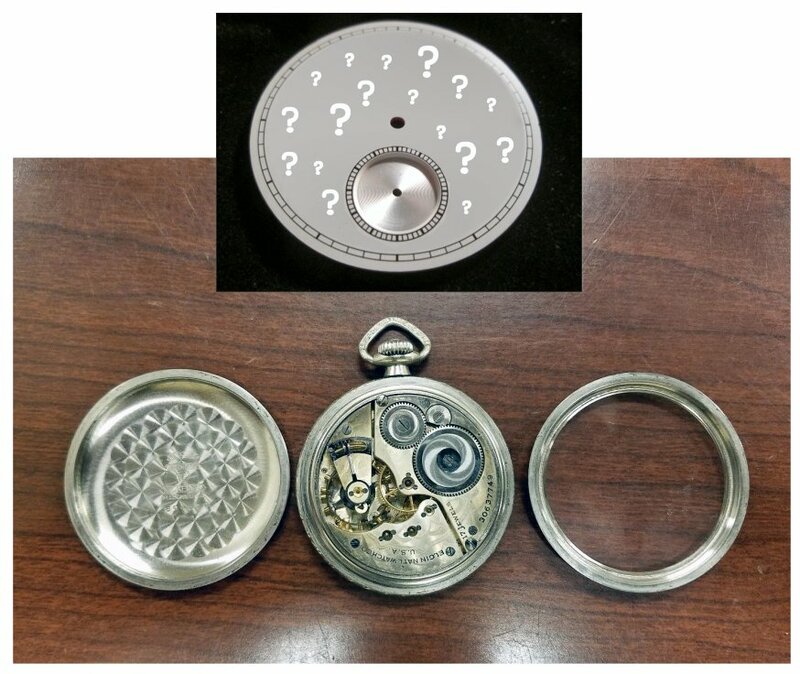 A while back I posted the image below concerning a mystery pocket watch project I had in the works. It was a bit of a novel project - I digitally altered the dial to maintain the mystery - what would it be? I have recently received the completed project watch and can show how it turned out. First, here's a proper look at the eBay seller's pics of the dial. It looked to be significantly better made than most masonic dials I have seen, a metal dial with well-printed symbols and a nicely machined sunken sub-seconds dial. As can be seen in the pic to the right it has proper dial feet attached, which proved correct for fitting to a 16 size Elgin movement. The dial was available in different colours and I thought the red version would look good and also provide sufficient contrast to blued hands. Here's the completed watch. What was a "normal" 1928 Elgin 16 size watch is now a masonic-dialed watch. I have no connection with the Masons but have always liked the graphic nature of the masonic symbols on a dial. It was very pleasing that the dial did actually fit the Elgin movement properly - I acquired it not really knowing if it would - and that the handset that came on the watch could be used as the lengths were suitable. The donor watch I acquired specifically for this project has a nice 17 jewel Grade 387 movement in a Keystone Watch Case Co. Nickeloid screw back case. 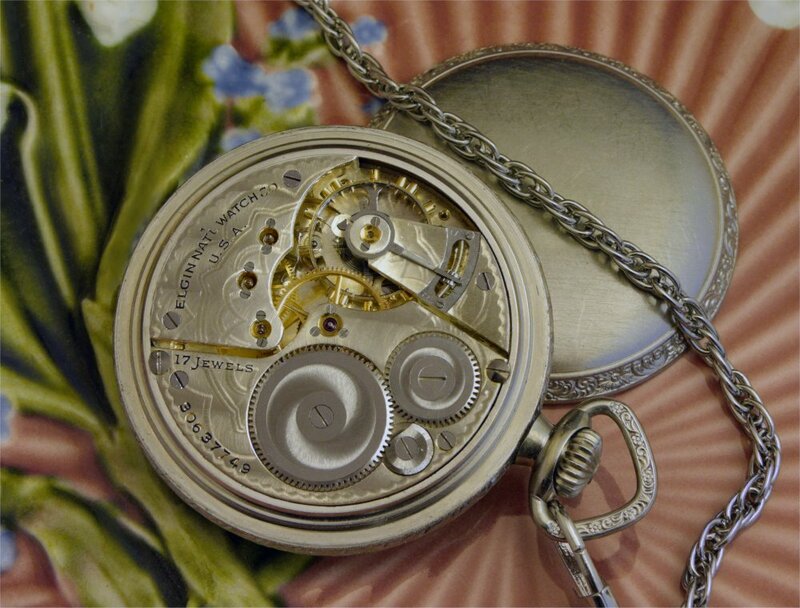 I didn't have this style of Elgin movement in my collection, which was a factor in choosing it for this project. The watch was acquired as a non-runner and so required some work when Rob B. received it for servicing and fitting of the new dial. It had a broken balance staff and jewel which were replaced, and the crystal was also a bit too scratched to keep and it received a new one. 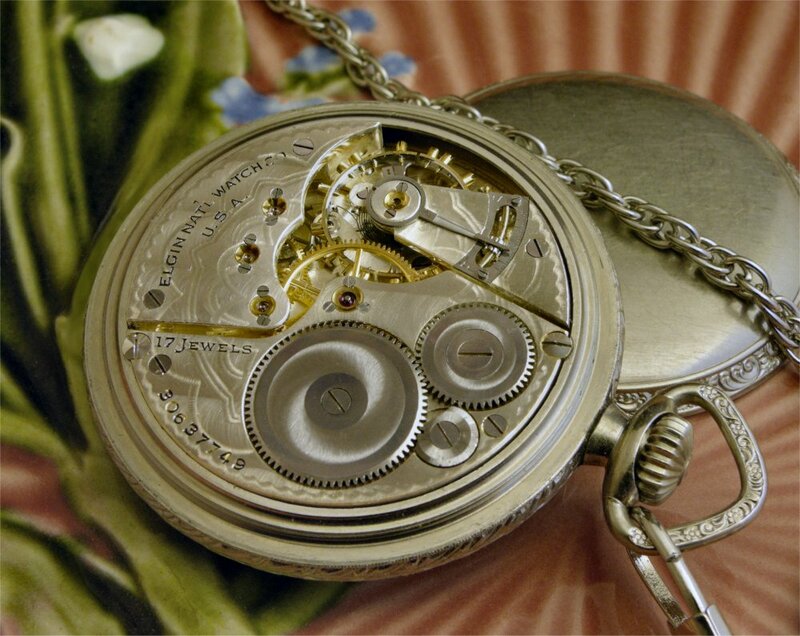 Apart from that the movement was just very dirty and well and truly required cleaning. It now runs very well and the project has resulted in an interesting and novel watch that I've enjoyed carrying. 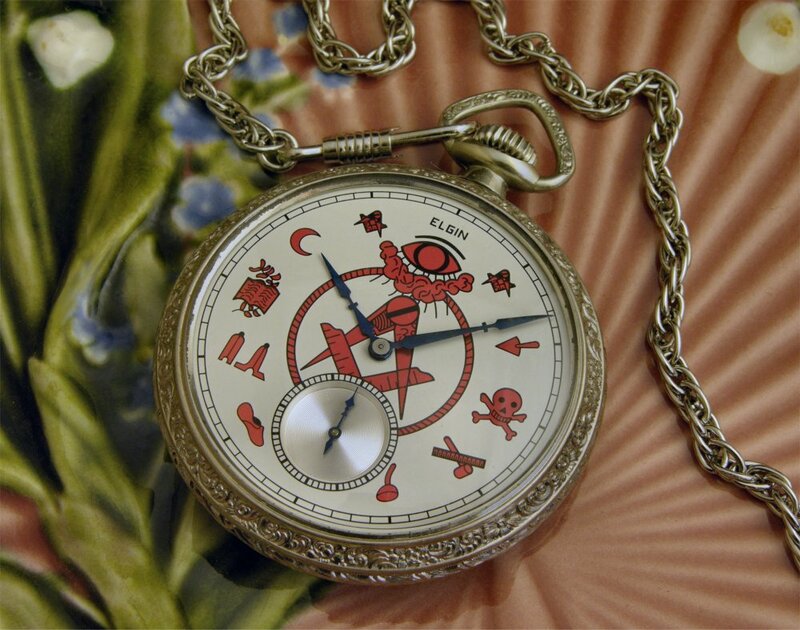 Juts to finish off, here's another type of masonic-themed pocket watch I've long had an interest in. 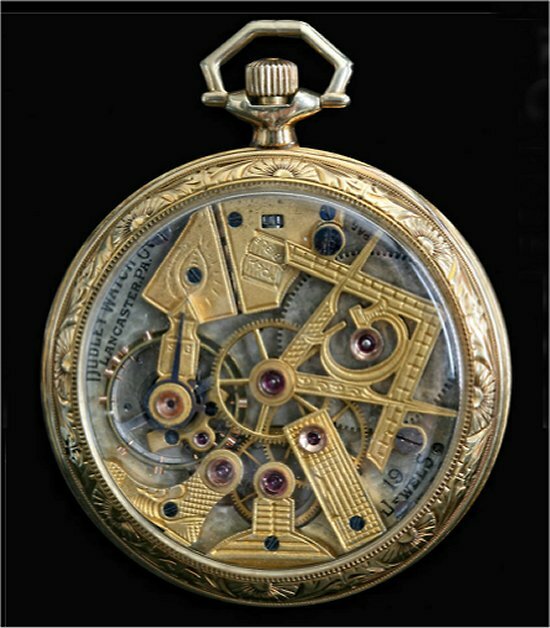 The Dudley masonic pocket watches had the movement plates and bridges reshaped to represent Masonic symbols. (Image from Dudley Watch Company).